Many people have no idea what probate is and have never even heard of the word. Other people who contact our firm have heard of probate but nevertheless hold misconceptions about what is involved with probating an estate. We try to clarify and correct any misconceptions during the free initial consultation. In this article, we will clear up some of the confusion that surrounds probate so that you are better positioned to serves as a personal representative. Probate is the process of administering an estate after a person dies. Almost everyone leaves behind an estate, which consists of property the deceased owned as well as any debts they had outstanding. As part of the administration, a personal representative will gather all assets and pay any bills that are submitted before a deadline. What assets are left over are distributed to people according to either a will or the state’s intestacy rules. In some situations, an estate does not need to go through probate. Instead, it can go through a process called Disposition of Personal Property without Administration. Typically, this process is available if the estate is very small and/or all estate assets are exempt from creditors. Estates worth $75,000 or less can go through Summary Administration. 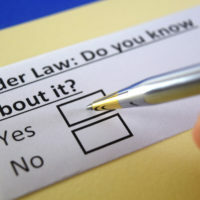 Larger estates can go through formal administration, which is court-supervised. The length of time will also depend on the complexity and size of the estate. But few estates take years to probate, which is another related misconception. If the deceased left behind a spouse but no other descendants, then the spouse receives everything. If the deceased left behind descendants but no spouse, then the descendants will inherit the property. If the deceased had no spouse or descendants, then his or her parents will inherit the estate; otherwise, siblings will inherit the estate. The state will take the assets only if there is no relative who qualifies under the intestacy rules to inherit. Not true! Instead, the will should identify the personal representative. So long as this person is not disqualified under Florida law (such as having a felony conviction), then the probate court will appoint them. Now, in practice, many people name their spouse as their personal representative. But the law does not require that they do so. And if the deceased name someone other than the spouse, the spouse can’t veto the personal representative. Probate is a complicated process, and we do not recommend that people serve as personal representative without legal assistance. Many issues can arise, making the representative’s job difficult. If you have questions about probate, reach out to us today at the Millhorn Elder Law Planning Group. We offer a free consultation to potential clients. Please call 800-743-9732.